Since 1982, Richard Williams Photography and his professional staff have been creating elegant and timeless portraits for their discriminating clientele. Richard Williams’ commitment to excellence and his passion for photography show in the many custom family, individual and business portraits displayed throughout the studio. To achieve this end result, Richard personally consults with each client, to create a style or feeling they wish to convey in their portrait. Whether you prefer an informal portrait at a special outside location, a casual setting in your home, or a formal portrait in the studio . . . Richard Williams creates Fine Portraiture by bringing together the ideal setting, appropriate attire, exquisite lighting and retouching. The Studio features a Portrait Projection Theatre, where immediately after the photography session . . . clients are invited to view their portrait choices at various sizes making the selection process much easier and enjoyable. 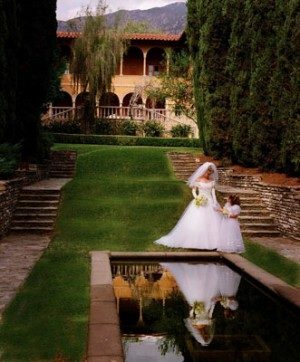 Richard Williams Photography Studio is also well known among a host of Companies within the Los Angeles Business community. Many of these Companies trust the Studio to produce the photography for their Business Brochures and Web Sites, including their Corporate Head Shots, Product photography and Corporate Events. Remember . . . You can’t stop time, but you can freeze a moment of it forever. Your Portrait will become the most precious and priceless photograph you have displayed in your home. At Richard Williams Photography we take the time to create Custom Portraits that you will cherish for a life time. Call our Studio at (818) 956-5712 for a complimentary consultation.